Piper (A126684) is a 3 year old neutered male cat with beautiful eyes. 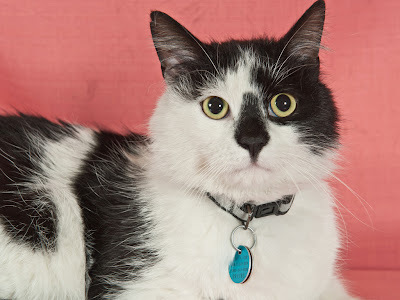 Piper doesn’t know that cats are supposed to be solitary and independent: he loves to cuddle and give head-butts and to hang out with humans. He arrived at the Ottawa Humane Society as a stray, so we don’t know if he gets along with cats or dogs. But he has such a charming personality that with proper introductions he should be fine with other pets. Piper has a delicate stomach, so he requires a special diet to prevent tummy upsets. To learn more about Piper, contact the OHS at 613-725-3166 ext. 258 or at adoptions@ottawahumane.ca.